Children’s Book on How to Love like Jesus is Coming Soon! Are you looking for a book to help your children learn how to be more loving? Not sure if my book is something right for you or your kids? Here is an excerpt from my first edition below! How to Love Like Jesus: A Guide for Children and Their Parents is a 32 page book that breaks down the famous verse “Love is patient, love is kind” etc for kid-friendly life-application. Each section is illustrated with examples and includes engaging questions to answer with a parent or alone depending on the child’s age. 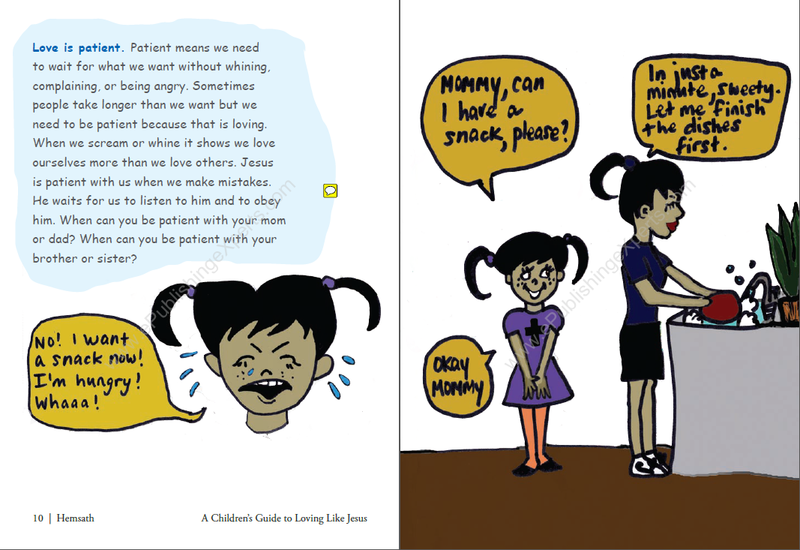 The book can be for parents to read with their kids or for kids to read on their own. It is written at a 2nd-3rd grade reading level but the content and application can be good for ages 3-12. Some minor changes have been made since this draft that will make it even better. For example, I am swapping the pages so that the larger image comes first for context. Then there have been changes made with some of the wording in the text for easier readability. The E-book will be out soon on Amazon for FREE! Would love people to download it and leave reviews. If you like it, the print version will also be available for purchase at a reasonable price. Hopefully in time for Christmas! !